Over a period of about two years at his position as Vice President Western Division Sales for KRONES, Thomas Jordan had been asked by several premium wineries why none of the existing mobile bottling companies use high-quality Krones equipment on their trailers. With the improvements and developments in the PS label manufacturing many winery operations change or intend to change from Cold Glue Labels to Pressure Sensitive Labels. The capital investment in a high-quality rotary labeler - which is necessary to fulfill many of the premium winery label specifications -can be significant and with just a few weeks of bottling per year the Return of Investment is in most cases not justified. However, since no existing mobile bottling operation offered high-quality rotary labeling equipment, wineries either had to purchase new labelers for a significant amount of capital or settle for lower quality. Based on this requirement coming directly from the market and additional independent market analysis- which confirmed the requirements - Thomas decided to start PEREGRINE MOBILE BOTTLING, LLC and worked with KRONES to engineer a first mobile bottling production line. The line will be installed on a 48ft custom-built semi-trailer featuring KRONES filling technology with dual-pre-evacuation for lowest oxygen pick-up during filling, cork and screw cap applications, capsule application (roll-on and shrink) and a rotary labeler with electronic orientation capability (no lug necessary, orientation on seam or embossing, no speed reduction). In addition, the trailer is equipped with power, steam, and nitrogen generation as well as air compressor. The only utility necessary from the winery will be water. This will reduce the production organization for each of our winery customers. Gallo, The Wine Group, Bronco, Barrel l0, Foster's (Beringer), Home/ Trinchero, Kendall-Jackson,V. Sattui, Castello diAmorosa, Far Niente, Charles Krug and many other wineries. His career in the beverage industry started in 1994 with Krupp Corpoplast as Area Sales Manager for Stretch Blow Molding equipment in the PET business. He transferred to the U.S. for Krupp Corpoplast in 1997. Prior to his beverage machinery experience Thomas worked in Project Management positions for Mannes­ mann Demag Sack, a turn-key steel plant engineering company. This responsibility allowed him to gather international work experience in countries such as Brazil, China, Taiwan, Japan, Italy and his home-country Germany. Throughout his career Thomas has acquired invaluable experience in start-ups, business development, sales and project management that is now transferred to PEREGRINE MOBILE BOTTLING, LLC. 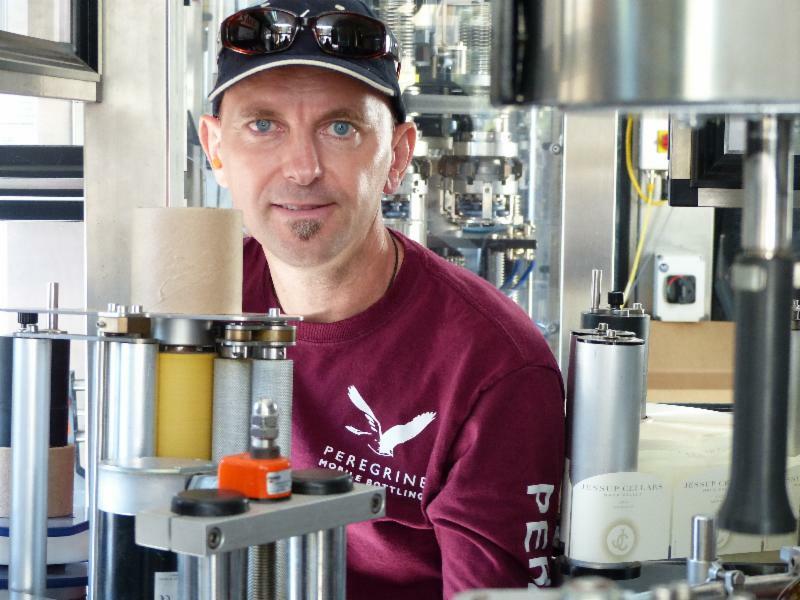 At PEREGRINE MOBILE BOTTLING, LLC he combines his passions for wine, starting, building and growing businesses and his experience in beverage equipment. His track record and accomplishments are based on highest­ quality equipment and services, customer focus, customer relationships and trust. Thomas holds a German Diploma in Mechanical/Industrial Engineering from the University Of Hanover, Germany where he graduated in 1990. He lives with his wife Pamela Reed, a professional photographer, in Napa, CA. Andreas Bednarek, Operations, brings fifteen years experience in a vast variety of production industries with specialized knowledge in beverage machinery industry (operations and maintenance of bottling equipment) to PEREGRINE MOBILE BOTTLING, LLC. In his previous positions at Maintec Service GmbH - KRONES Group and W & K Gesellschaft fUr lndustrietechnik Gmbh, Andreas experienced all aspects of KRONES and other OEM bottling equipment including site management, equipment installation (single machines and turn-key production bottling lines), start-up, commissioning, quality assurance, production and maintenance. During his international assignments he worked for KRONES customers such as E&J Gallo (USA, Wine), Heineken (Netherlands, Beer), Aria Foods (UK, Dairy), Antarctic (France) and others. 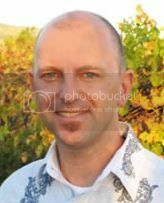 During an assignment as technical engineer managing and maintaining a beta-site filling installation at a major US wine company he started his fascination for wine and wine bottling as well as for California. We operate a Krones 24-Valve Counter-Pressure Filler with Double Pre-Evacuation/Nitrogen Sparging and Level Correction Technology. The Swirl in the wine channel results in the most gentle way of filling. Your wine is guided to the bottle sidewall and flows gently to the bottom. We offer capsule spinner as well as heat shrink application! We offer Front, Back and Neck Label Applications including Bottle Orientation via Electronic Sensors (reading of bottle seam or embossing). This layout shows the arrangement of our KRONES Filler/Corker/Capper-Bloc, Robino & Galandrino Capsule Applicator and our KOSME Rotary Labeler. Peregrine Mobile Bottling offers Mobile Crossflow Filtration Services besides our Mobile Bottling Services. We operate a PALL OenoFlow XL-6S unit which is installed in an 18\' box trailer. The system is engineered to operate on 480 V / 30 A / 3-phase as well as 240V / 60 A / 3-phase electricity. Compressed air is supplied by an on-board compressor. 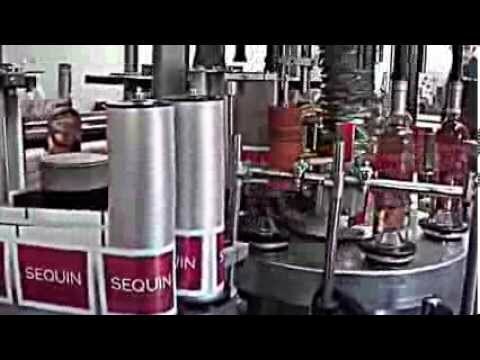 Peregrine Mobile Bottling operates a KOSME rotary labeler with 3 pressure sensitive label aggregates. This allows the application of front, back and neck/shoulder labels. The stepper-motor-controlled bottle plate rotation provides the necessary flexibility to position the bottle correctly in order to place the label at its specific location of the bottle. Peregrine Mobile Bottling operates a Krones engineered mobile bottling line with several unique technical features. The bottling line is designed to handle 375 ml, 750 ml and 1.5 L bottles. Our Kosme labeler applies pressure-sensitive labels. Fiber-optic sensors allow to detect the position of the bottle seams and stepper-motor driven bottle plates position the bottle to place the label right in between the seams. 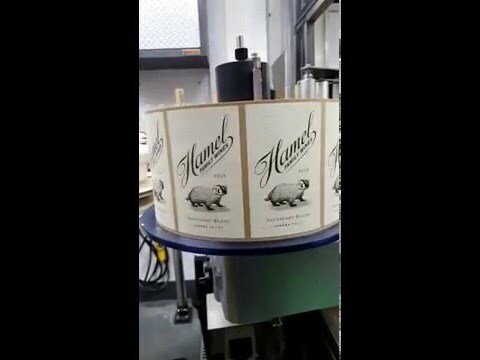 Below you see the entire bottling process of a 375 ml bottling including Label Orientation at Hamel Family Wines. Please enjoy the below video. Peregrine Mobile Bottling offers Mobile Bottling, Crossflow Filtration, Gas Management and Commercial Tent Rental Services to wineries of all sizes. Please let us know if we can service any of your upcoming projects. Peregrine Mobile Bottling operates a counter-pressure Kosme/Krones wine filler in combination with a K+H Process Tech inline gas management skid. With our set-up we carbonized still wine coming from a non-pressurized tank on the way to the filler. The K+H gas management technology safely carbonizes at temperatures which avoid condensation. This allows for a safe PS label application right after filling. The K+H Gas Management Skid uses a hydrophobic Liqui-Cel membrane and proprietary software to control O2, CO2 and N2 in wines in a fully automatic mode. With a set CO2 target value the O2 and N2 content will be reduced to a minimum at the same time - it is a one-pass process. Please enjoy the below video. Peregrine Mobile Bottling offers Mobile Bottling, Crossflow Filtration, Gas Management and Commercial Tent Rental Services to wineries of all sizes . Peregrine Mobile Bottling will exhibit a CO2 Membrane Contactor Skid by K+H Process Tec, GmbH at the WIN Expo on December 6. The unit, with the hydrophobic membrane supplied by Liqui-Cel/3M, is a fully automated skid which adjusts O2 levels to a minimum and CO2 levels to set values. O2 and CO2 levels are measured and controlled inline by Hamilton and Anton Paar equipment respectively at the product outlet on a continuous basis. The skid allows for applications in various areas of the winery; i.e., unloading trucks -> adjustment of both gases right during unloading of wine from tanker to the tank; tank-to-tank adjustments in the cellar -> no more N2 sparging required with loss of both gases and aromas plus necessary “rebuilding” of wine, or on the bottling line -> high O2 just prior to bottling can be reduced inline while pumping wine from tank to filler and CO2 can be held/adjusted to a set value at the same time. Use our promo code (PER817) to visit our booth! Register here. Commercial Tent Rental: It's Raining Today! Peregrine Mobile Bottling, LLC provides you with a special offer of $0.10/gal discount from our regular list price on any Crossflow Filtration Project this year during harvest season (September, October, and November). Please click HERE for Crossflow Filtration Quotation Request. With our Mobile Crossflow Filtration unit; we will follow Peregrine’s Commitment to Highest Quality, Latest Technology, as well as Excellent Customer Service. To learn more about Peregrine Mobile Bottling and our state-of-the-art Pall OenoFow XL-6S please click HERE. PEREGRINE MOBILE BOTTLING, LLC offers Premium Mobile Bottling, Mobile Crossflow Filtration, Commercial Tent and Bottling Team Services to companies in the Wine and Cider Industry. It is our Mission to provide our customers with Highest Product Quality, Latest Available Technology and Customized, Personal Service. Following our success with our KRONES-engineered mobile bottling line, we introduced our mobile PALL OENOFLOW XL-6S Crossflow Filtration unit. As a service provider to the wine industry, Peregrine Mobile Bottling is committed to provide state-of-the-art Technology in order to achieve highest Quality for our customers. Technology, Quality and excellent Service of our highly-skilled Team are the pillars of our company which have allowed us to build long-lasting customer relationships. To achieve this we select equipment that fulfills our very high Technology and Quality standards and requirements under the consideration of Reliability, Flexibility, Minimized Product Losses and Ease of Operation. Reliability is a major decision making factor for any equipment investment. As a service provider we are paid by the amount of performed production (gallons filtered or cases of wine bottled). Thus, Consistent Long-term Uptime / Equipment Availability and Consistent Output Performance over time are our predominant decision making factor. iii. Automation System reliability based on selected Allen Bradley Controls. The Pall OenoFlow XL-S Technology offers us the flexibility to filter small and big wine lots. The automation software includes the options to operate the crossflow unit on all six or just one filtration module. Thus, we are able to filter lots as small as one barrel (59 gallons / 225 liters) as well as big lots of several thousand gallons in the appropriate time. The flexibility to operate a crossflow unit which is able to run up to 3,000+ gallons per hour on white wines and still be able to filter one-barrel lots of the same quality was a significant factor for us to select Pall as our vendor. Crossflow technology offers significant savings compared to pad filtration due to the reduced product losses. Pall’s automated concentration and final concentration cycles result in very low product losses. Per 6-8 hours of max. product cycle the loss results to 3-6 gallons. There is actually no difference in volume loss when operating the unit with a single membrane for small lots or with all six membranes for bigger lots. When operating six modules the unit automatically goes into final concentration mode at the end of the filtration process, consolidates the product still remaining in the modules and piping system and reduces it to a very low residual volume by filtering it through just one module. The fully automated crossflow unit offers a significant advantage compared to semi-automated units. With pre-programmed filtering including back-flushing and cleaning cycles a continuous and repeatable quality production is guaranteed. A fully automated system does reduce potential mistakes of human nature. 1. PMB Trailer Set-Up: The OenoFlow XL 6-S is installed in a custom-built, all-aluminum, 18 ft. box trailer. The trailer is equipped with an on-board 230V / 460V 3-phase transformer, air compressor and LED lighting. 2. Filtration Modules: The OenoFlow XL6-S is equipped with polymeric Microza® hollow fiber modules. Each crossflow membrane module provides 230 square feet / 21.5 square meters of filtration surface resulting in a Total Filtration Surface of 1,380 square feet / 129 square meters. The WUSP-6443 Microza® hollow fiber modules are approved for food contact and designed to operate at a maximum temperature of 140 °F (60 °C). The membranes themselves are constructed of polyvinylidene fluoride (PVDF) while the housing is polysulfone. 3. Unit Operation / Automation: The Pall OenoFlow unit is equipped with a fully automated production process including filtration with automatic backflush, cleaning and cycle programs. 4. VFD-Controlled Pumps: Infeed, circulation and discharge pumps are all equipped with various frequency drives (VFD) for smooth and gentle wine handling. VFDs allow pumps to ramp up to nominal speeds in order to avoid harsh product handling. PMB operates the only mobile crossflow unit in the industry where all three pumps are VFD-controlled (usually none of the pumps or only infeed and discharge pumps are VFD-controlled). The entire crossflow filtration unit is installed on a 304L stainless steel welded skid supporting the filtration membranes, manifolds, pumps, interconnecting piping, valves, tanks instruments, electrical cabinets and HMI. - Two tanks are part of the skid. A 140 gallon (530 L) feed/CIP tank T1 (304 SS) provides for the production feed and concentration as well as self-contained CIP supply tank for cleaning operations. A 32 gallon (121 L) filtrate/backflush tank T2 supplies filtrate for backflush operation. It allows to operate independently of any winery conditions such as high head pressure downstream of the system. - An inlet pre-filter with 250 micron screen captures larger solids prior to entering the filtration system. - Water is filtered using Pall's 1 micron Profile Star cartridge included in the on-skid water filter housing. For more information, please click here or contact Thomas Jordan at Thomas@PeregrineMobileBottling.com. 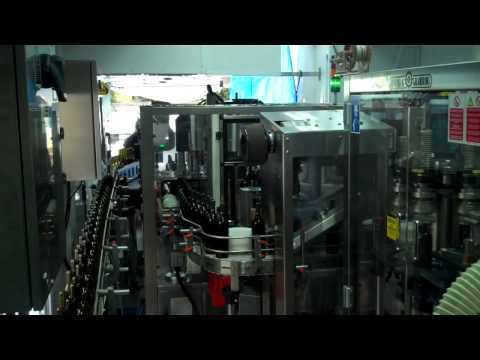 At Peregrine Mobile Bottling, LLC (707-637-7584) we want to provide our customers the best service possible! Winery operations often take place outdoors. This can mean we enjoy working in beautiful California weather - or we work in scorching heat or pouring rain! We decided to offer shelter for both your and our teams at work, as well as shelter for your product and packaging materials! See below applications of various commercial tent set-ups in winery operations, including bottling and harvest activities! Please let us know if we can be of any help! Thanks for reading this post - please SHARE it if you like what you see! Cheers! For more information, please click here or contact Thomas at 707-637-7484 or Thomas@PeregrineMobileBottling.com. Peregrine Mobile Bottling has started scheduling the 2017 Bottling and Crossflow Filtration Season! Please let us know if we can be of service for your Filtration, Bottling and Commercial Tent Rental projects. Peregrine Mobile Bottling offers Mobile Crossflow Filtration Services besides our Mobile Bottling Services. We operate a PALL OenoFlow XL-6S unit which is installed in an 18' box trailer. The system is engineered to operate on 480 V / 30 A / 3-phase as well as 240V / 60 A / 3-phase electricity. Compressed air is supplied by an on-board compressor. Seam Orientation Labeling is a feature that we offer to our customers that is quite unique. To do this type of labeling you require a rotary labeler which we do have on our mobile bottling unit. Most other mobile bottling providers use linear labelers. We have fiber-optic sensors installed on each labeling bottle plate (6 total) which are able to read the bottle seams or an embossing on the bottle. A software then calculates the effective position where to place the label based on the label length and required position. This information will then be sent to the electric motor on each of the bottle plates to rotate them into the correct position for correct label placement - either in-between the seams or centered under an embossing. Seam Orientation Labeling is pretty interesting technology and mainly used for high-end wines. Peregrine Mobile Bottling, LLC has been servicing Hamel Family Wines for several years. Winemaker John Hamel selected Peregrine's Seam Orientation for their label application. 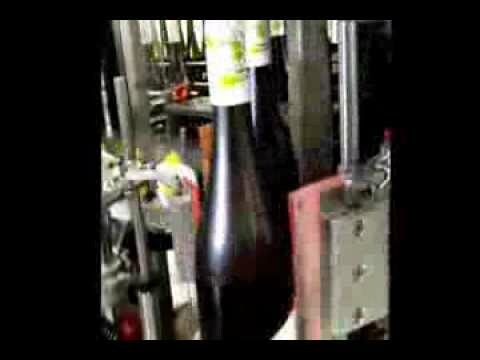 Watch this video and see the labeling in action! Peregrine Mobile Bottling, LLC is now offering MOBILE CROSSFLOW FILTRATION SERVICES besides our MOBILE BOTTLING, COMMERTIAL TENT RENTAL & BOTTLING CREW SERVICES. Commitment to Highest Quality, Latest Technology as well as Excellent Customer Service. Please let us know about your Filtration Requirements. We look forward to provide you with our Availability and Attractive Pricing. Peregrine operates a state-of-the-art Pall OenoFow XL-6S system with 121 m2 of filtration surface and VFD drives controlling each individual pump. The unit is installed in an 18' custom-engineered box trailer. We understand how important Customer Service is to you and are happy that with Ruben Sanchez we hired a13-year Industry Veteran as our new Crossflow Technician. Peregrine Mobile Bottling, LLC's high customer acceptance and repeat business proves that our combination of highest technology combined with customized, personal service offers best quality and significant value for you, our customer. PEREGRINE MOBILE BOTTLING, LLC offers Premium Mobile Bottling, Mobile Crossflow Filtration, Commercial Tent and Bottling Team Services to companies in the Wine and Cider Industry. It is our Mission to provide our customers with Highest Product Quality, Latest Available Technology and Customized, Personal Service. Following our success with our KRONES-engineered mobile bottling line, we introduced our mobile PALL OENOFLOW XL-6S Crossflow Filtrationunit. For further information and availability please contact Thomas Jordan atthomas@PeregrineMobileBottling.com or 707-637-7584. Crossflow Filtration Technology has gained significant acceptance in the wine industry over the last few years. Latest membrane technology including prolonged membrane life, compact equipment designs, reduced waste volumes / filtration yield, and better process control, enable wineries of all sizes to further reduce operating costs whilst maintaining respect for the qualitative characteristics of the wine. Thus, crossflow filtration technology is setting new standards in achieving quality, yield and efficiency in the industry. Crossflow filtration is today the unique alternative to conventional filtration methods. The hollow fiber system enables wineries to remove suspended contaminants from wine in a reliable, reproducible, single process step and make it microbiologically stable. 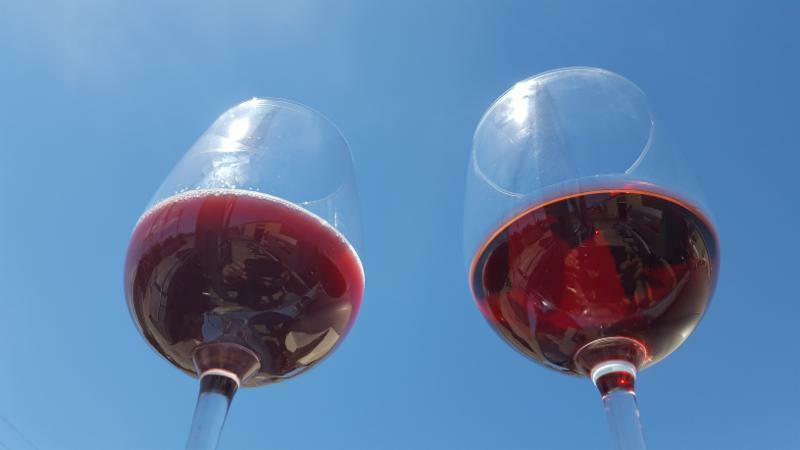 Clarification is achieved without the need for filter aids, centrifugation or interference with the chemical, physical or organoleptic components of the wine. This also makes it an environmentally-friendly filtration process. In one step, crossflow or tangential flow filtration clarifies the wine, giving it a clear appearance. Moreover, crossflow filtration is ‘easier’ on your wines because the filtering is made without any change of state of the filtered element compared to conventional methods (i.e., plate-and-frame). Conventional filtration methods involve high amount of labor, material, storage and disposal costs when compared to crossflow filtration technology. Besides the proven quality it therefore offers strong advantages as it drastically simplifies the steps used to process your wine before bottling in a cost competitive way. During the filtration process, at times, the desired product is in the retentate (concentrate) side while at others, it is in the permeate (filtrate) side. This is a pressure driven process where the transmembrane pressure forces the filtrate (permeate) to pass through the membrane while suspended solids are retained (Figure 1). Over time, the retained particles are concentrated at the membrane surface and form a surface or boundary layer. One characteristic of crossflow filtration is the high crossflow (tangential) velocity of the suspension to be filtered over the membrane surface. The crossflow velocity ensures that the boundary layer on the membrane is minimized and kept constant. In the U.S. and in any major wine area around the world, several companies have established themselves as reliable equipment providers for crossflow filtration equipment; among them are Pall Corporation, Bucher Vaslin and Padovan. Each of the vendors offer their specific technology in terms of membrane and system technology, process control, space requirements, ease of use and cost of operation with references at well-known wineries. Peregrine Mobile Bottling, LLC evaluated existing crossflow technology in regards to our specific needs as a Mobile Service Provider to the California Wine Industry. By researching latest state-of-the-art technology, visiting many wineries different parts of the world and discussing the available technologies in the marketplace with winemakers who use it, we eventually decided to purchase a Pall Oenoflow XL-6S system. Many capital intensive processes lead to the consideration of using outsourcing services. Peregrine Mobile Bottling, LLC specializes in Highest Quality Engineering Solutions for Outsourcing Services. Our high customer acceptance and repeat business proves that our combination of highest technology combined with customized, personal service offers best quality and significant value for our customers. 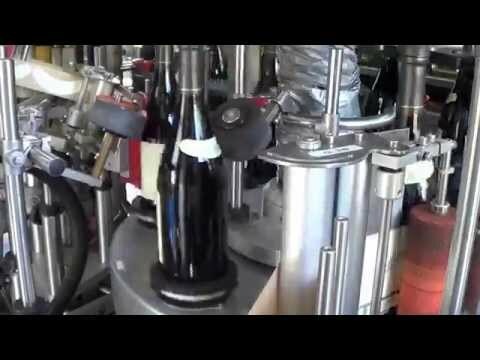 In the entire process of wine bottling the segment of filling is the most important subject since you actively handle the product you have worked so diligently on for quite some time. In this report we focus on still wine filling. For wine applications you find a speed range for fillers starting from 15 bpm on the lower end to up to 600+ bpm on the high end. Equipment comes in variations of single machines or monobloc arrangements where different machine components have been installed on one main frame with one main drive train. Monobloc configurations can consist of just two components such as filler/corker blocks and go up to as far as four components such as rinser/filler/corker/capper arrangements. When filling wine several quality parameters are important to be controlled in order to make sure your wine is well bottled and packaged. In the past fillers were mainly “mechanical” fillers where the individual steps of the filling process were mechanically initiated through cams/levers and rollers. Today, electro-pneumatically controlled solenoids are employed on the filling valves. This guarantees a high degree of accuracy, reduces the amount of wear parts on the filler and facilitates product change overs through parameter setting on a filler touch screen. The most important quality parameter in the filling process is the control of dissolved oxygen pick-up. In order to keep this value to a minimum, several technologies are employed in the industry. As a first step, bottles are cleaned either with water or dry, compressed, sterile air. On a rotary rinser bottles are turned 180 degrees and a nozzle enters the neck to either spray water or air into the bottle. In an orbit rinser the rotary wheel is in vertical position and bottles are positioned in individual pockets with a nozzle entering into the neck. When using compressed air it is important to have a suction phase on the rinser so the potential dirt particles are effectively removed from the bottle. As a second step on the rinser, the bottle may be sparged with an inert gas such as nitrogen or argon to reduce the amount of oxygen in the bottle. This process is used mainly with conventional filling technologies which do not offer specific air/gas management as part of the filling process. For lowest dissolved oxygen pick-up values filling processes have been developed which use several different steps on the filling table. After the bottle enters the filler from the rinser a centering bell seals the bottle. The filler program now initiates multiple process steps performed through the electro-pneumatically controlled valve. As a first step a vacuum is pulled on the bottle which extracts the ambient air or air/nitrogen mix through a separate channel of the filling valve to the outside environment; then the bottle is filled with inert gas. This is an advanced step compared to conventional filling systems which fill either against ambient air or an air/nitrogen mix from sparging at the rinser. The fact that the air is discharged to the environment is also very important; older technologies actually vented the air from the bottle into the filler bowl which resulted into increased DO pick-up values. For highest quality filling results the KRONES filling technology offers a second pre-evacuation of the bottle; this means the process steps of applying vacuum and sparging with inert gas will be applied a second time before the valve then opens the wine channel for the actual filling. The wine pushes the nitrogen from the bottle back through a separate channel into the filler bowl where it serves as a blanket to avoid air contact in the bowl as well. The end of the filling process is determined by the contact of the wine with the vent tube. Once the wine channel is closed a short settling phase sets in. In order to achieve highest tolerances in fill level accuracy a fill-level correction process is applied. This effectively uses pressurized inert gas – applied to the headspace – to push excess product back into the bowl. With this step you achieve an accurate fill level which also results in product savings. After the bottle is released from the filling valve it is conveyed to either the corker or capper. Preferably you want them to be close to the bottle exit of the filling table to allow for shortest exposure to the environment before closing – usually you position the corker first and the capper in second position. Headspace management after the filling process is of utmost importance. For cork applications you can pull a headspace vacuum at the corker before you place the cork in the neck of the bottle; this reduces the amount of air from the bottle headspace and also reduces headspace pressure when the cork is placed. Pulling a vacuum may potentially result in a contamination issue at the corker if at times wine is sucked into the vacuum system. As an alternative process headspace flushing with inert gas is also a high-quality solution. When you have a fill-height corrected application and a well placed cork the headspace pressure will be well controlled. The inert gas then provides you with the dissolved oxygen control you require in the headspace. Using this scenario no vacuum is pulled at the corker. Screw cap applications are a little more involved since the headspace volume is bigger than with cork applications. Ideally you want to remove the air or air / nitrogen gas mix which resides in the headspace. This is done by dosing liquid nitrogen to the headspace of the bottle. A liquid nitrogen dosing equipment is located close to the location where the bottle leaves the filler valve. Liquid nitrogen needs a certain amount of time to react and push the air out of the headspace; you will actually see a nitrogen “fog” or “smoke” develop in the headspace slightly coming out of the bottle if the dosage is correct. Therefore, a specifically determined amount is dosed into the bottle headspace. The liquid nitrogen reaction happens while the bottle is conveyed to the capper. Since the caps themselves are hollow they do carry air. If you place them on the bottle most of the air actually escapes in the process of pushing the cap onto the bottle; however, to avoid any residual air a Figure 4: Screw Capper nitrogen gas purging of the cap may be applied. Mobile Bottling of Your Fizzy Wines! Supported by services and consulting from Peregrine Mobile Bottling, LLC several of our customers have successfully introduced Fizzy or Semi-Sparkling Wines and Hard Ciders with CO2 levels of up to 3,600 ppm or 3.6 g/l to the market. Please allow us to provide you with additional information about Wine Preparation, Bottling and Packaging Requirements for Fizzy or Semi-Sparkling Wine Products. Peregrine Mobile Bottling was asked to bottled ?querry? - an Apple Pear Cider for Bonny Doon Winery. 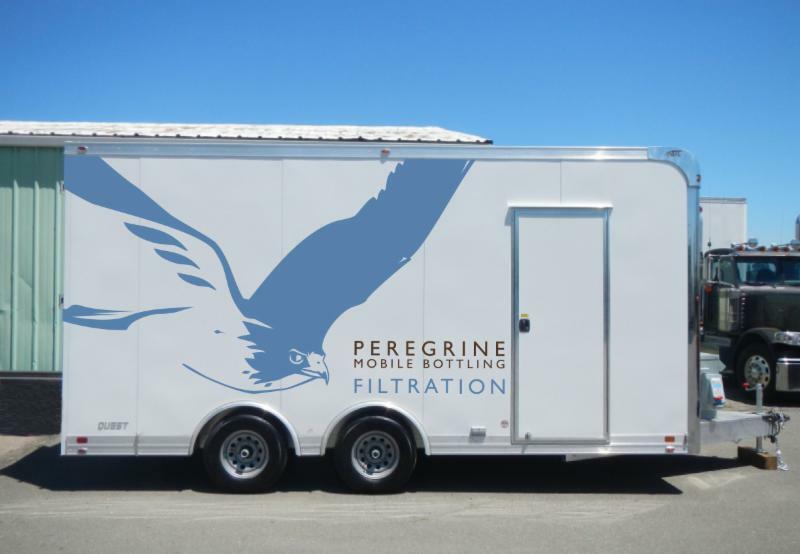 Peregrine is the only Mobile Bottling company in the CA wine industry which operates a counter-pressure filler. This allows us to bottle carbonated products like this great tasting Bonny Doon Cider. The screw cap application uses a pressure rated cap. Peregrine partners with a label manufacturer to provide the labels and technology for the application of wet-bottle pressure-sensitive labeling at the time of filling. This is an unmatched break-through in the bottling industry. Please contact us for additional information. 707-637-7584. In most cases carbonized products are batch carbonized in open tanks. In order to keep the CO2 in solution the wine or cider is cooled to about 30 degrees Fahrenheit. Our KRONES Counter-Pressure Filler provides the required technology of dual pre-evacuation, filling, fill-level correction and snifting to successfully fill carbonated products without foaming. In order to provide our customers with a technically solid packaging, we work with material suppliers who provide Pressure Certified Glass as well as Screw Caps. The low filling temperature of about 35-40 degrees Fahrenheit results in significant condensation on the bottle. Condensation on bottles usually resulted in shiner bottling with a second run of applying pressure sensitive labels after several days. This added significant costs to the product. Our partnering Label Supplier successfully developed a Label which does apply to a Bottle with Condensation. This is a significant Cost-Saving Break-Through for the industry! 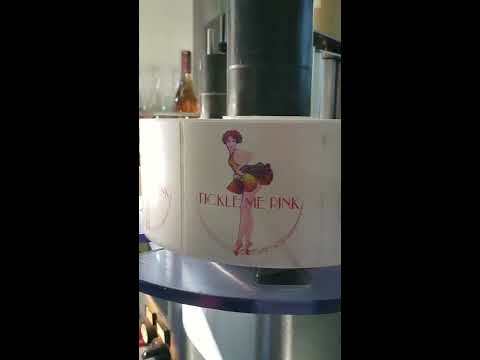 If you are interested in a Free Consultation about Fizzy Wine Bottling and related Packaging then please contact us atThomas@PeregrineMobileBottling.com or 707-637-7584. OurKRONES Counter-Pressure Filler provides the required technology of dual pre-evacuation, filling, fill-level correction and snifting to successfully fill carbonated products without foaming. The low filling temperature of about 35-40 degrees Fahrenheit results in significant condensation on the bottle. Condensation on bottles usually resulted in shiner bottling with a second run of applying pressure sensitive labels after several days. This added significant costs to the product. Our partnering Label Supplier successfully developed a Label which does apply to a Bottle with Condensation. This is a significantCost-Saving Break-Through for the industry!